For those doubting the power of Bordeaux in the Chinese market, db counts down the top 10 best-selling wines on Asian-based wine website Wangjiu. As previously reported by the drinks business, the Chinese online retail market is set to surge as China’s consumers spend more time online, and leading the emerging market is Wangjiu Online. With a strong focus on premium labels, Wangjiu was established in 2012 and has spent over £10 million on procurement and warehousing as well as its online wine retailing platform. While it is facing keen competition from other online retailers such as Jiuxian and Jiumei (www.winenice.com), Wangjiu has differentiated itself as a retailer of premium wines, while providing a bespoke “wine-customisation” service that it is currently providing to banks, media corporations, and private clients. This service allows clients to specify a preferred wine style, and Wangjiu will source a wine to fit the specification. 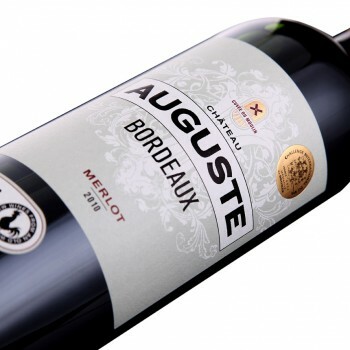 In a campaign that is the first of its kind in China, Wangjiu released a wine on 17 May this year that was customised according to the popular polls and requests from over 200,000 consumers from its database. The wine was created as the result of a collaborative research between Wangjiu Online and La Revue du Vin de France China to find out what wine would be most suitable for the Chinese palate. Consumers and wine critics in China went through a poll where they expressed their favourite styles of wine, the price they were most willing to pay for a bottle of wine, and other factors such as the weight of the bottle, the closure used, and even the wine label design. 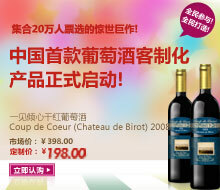 Based on the results of the poll, Wangjiu sampled wines from producers from over 50 countries before picking a wine produced by Château de Birot from the 2008 vintage, which the website named “Coup de Coeur”. The wine was released at ￥198 (£21), and all 12,000 bottles were sold out within a month from the release date.